If you are interested in bus service, return the bus service request form with your application. The bus service fee is $7 per day per child, or $35 per week per child. No adjustments to these charges will be made for times your child(ren) does not ride the bus. A state certified bus and driver will operate each bus route. The bus service requires the child(ren) to have adult supervision at all times and children are not to be left alone waiting at the pickup and drop off locations. A bus voucher will be used to get your child(ren) on and off the bus. The bus driver will not drop off a child unless the parent or authorized person is there. A child will not be allowed to bike or walk home from the drop-off locations. It is very important that you are at the location on time with the bus voucher completed. Please make contact with the counselor to hand the bus voucher to him or her. The bus will not wait for any late riders and will charge an additional $5 per minute the parent is late picking up their child from the designated location. 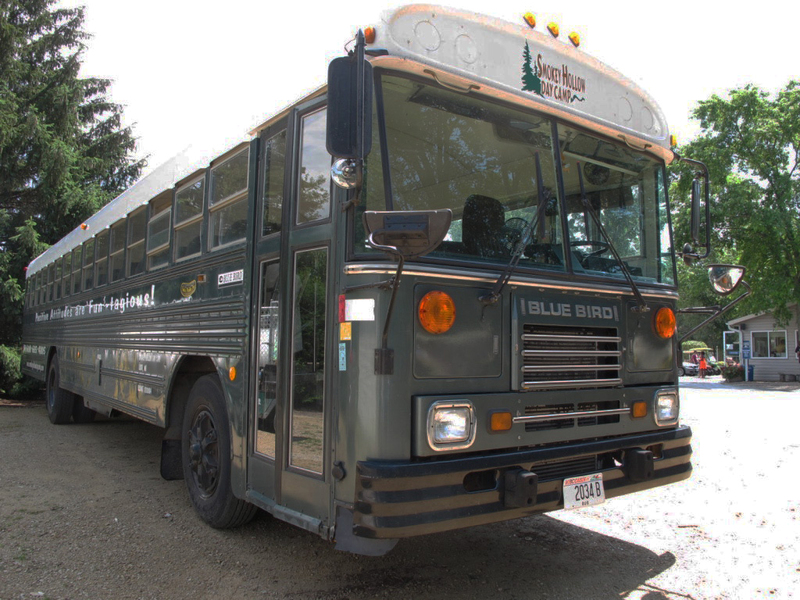 The bus will only wait 5 minutes and then proceed to the next drop-off location or to Smokey Hollow Day Camp. Parents will then pick up child(ren) at the day camp. Waunakee Bus Location has been changed to the parking lot on the north side of the high school, which is at School Drive / 8th Street. To view and print the forms, you must have Adobe Acrobat Reader which is available as a free download. To request printed forms, Contact Us with your mailing address and we will mail them to you.